Do you feel like you’re overcommitting your life away? The top reasons we don’t go 100% in on our health are a lack of time and energy. The reason we feel time and energy are slipping away is because we’re spread way too thin. There are many good reasons why we do this- family, friends, and work being a few. 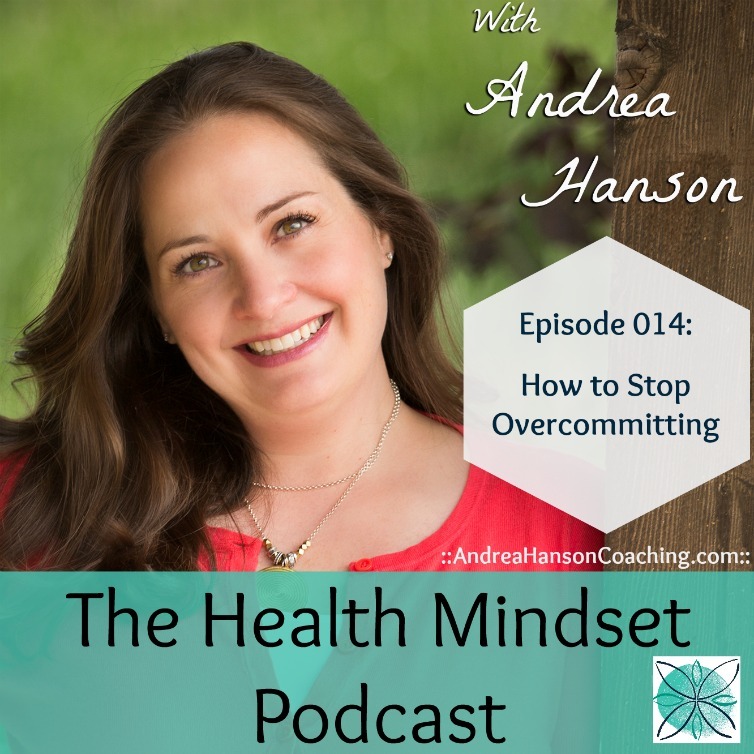 In this episode I pin down three reasons why we commit to things we don’t want to do, and how to say no while feeling good about it. Leaving us more time and energy to devote to what we’re probably saying no to right now – our health. The bonus is that you don’t have to say “no” to everything to feel better. You may not even have to change a thing on your calendar to get back that time and energy. -Exactly how to talk about your commitments in order to feel better immediately. -How to sidestep those commitments with your head held high – even when you’ve already said “yes”. -Why we say “yes” when we don’t really want to and how to stop. At the end of the episode, I’ll take you through your calendar and help you find the surprising answers to which commitments you should keep and which ones you should get out of. Do you feel like you’re “all-in” on your health, but not getting the results you want?